The Deben is a river in Suffolk, flowing through Woodbridge. 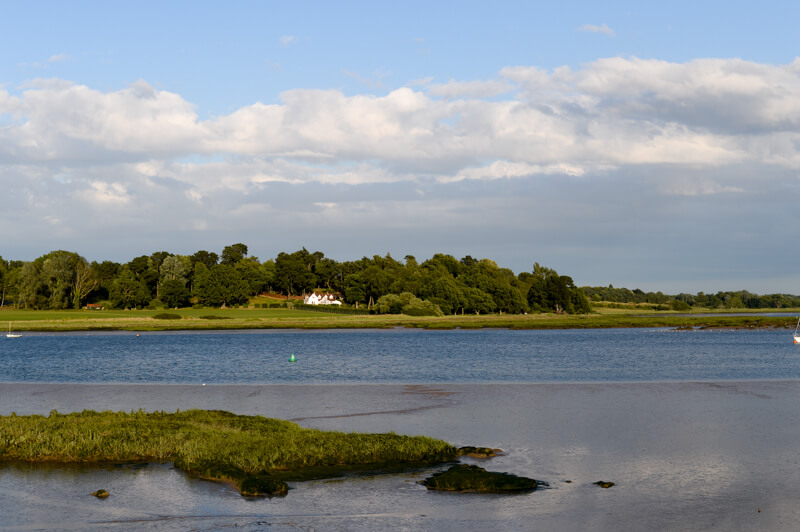 Whilst the inland river is small and pleasant, it is the estuary which is famous as a place to go canoeing or kayaking. The length of the estuary makes for a nice days paddle, using the tides to get from one end to the other. Obviously, canoeists need to be aware of the tide, currents and wind that may be found on the estuary and have enough experience to deal with them. This will be a one-way paddle using the incoming tide to help you up the beautiful Deben estuary. On a nice day, the sounds of birds will always be with you, curlews, oyster catchers and gulls. Occasionally a seal will check you out if you're lucky. This is a tidal paddle and as such can be very serious. Wind and tide do funny things and this is one of those places which always feels windy. Some experience is required. This Paddle is organised by The Deben Canoe Club for clubs within the Region. Once on the water, the Clubs will be responsible for their paddlers and will be expected to provide their own On Water Leaders as if it was one of their normal club trips. Details of the Trip and Risk Assessment are available in these pdf documents.